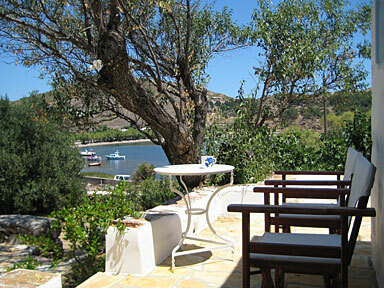 Two (2) different holiday houses/villas are for rent on Patmos, an historic and sacred Greek island. 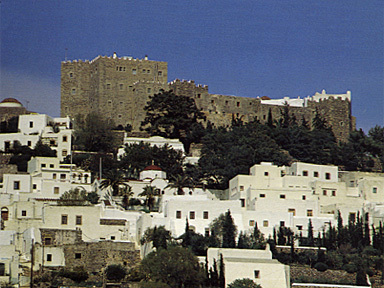 Patmos is a small, beautiful and atmospheric island in the Dodecanese, Greece, in the Aegean Sea, itself in the eastern Mediterranean. 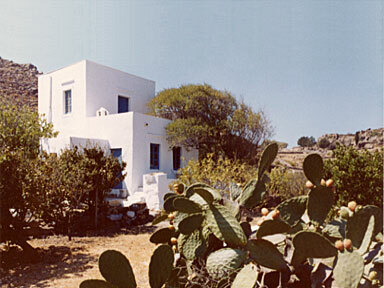 One house is in a traditional Greek island village, Chora (details & photos of “Chora house”). Each of the two houses sleeps 4 people, and is self catering. The house nestles under the walls of the monastery which crowns the unspoilt whitewashed village of Chora which, together with the Cave of the Apocalypse, is a UNESCO World Heritage Site. 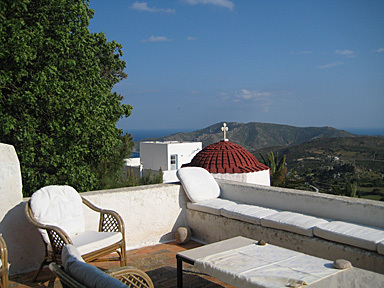 The house commands wonderful views from its upper terrace, and from the master bedroom, over the island south and westwards to the sea. This traditional house for rent is in a quiet position in the “old town” part of the village, and is reached through narrow lanes impassable to traffic. Shops and restaurants are within easy walking distance. One of a few traditional houses in the bay, this characterful villa stands in its own grounds 30 yards from the sea. 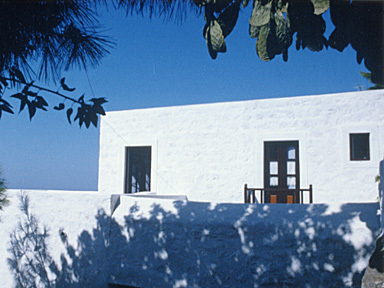 A simple house typical of a traditional Greek country villa has all one needs for a Mediterranean holiday beside the beach. 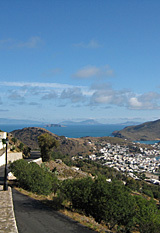 The view at the top of the page is taken from a peninsula near the villa for rent. 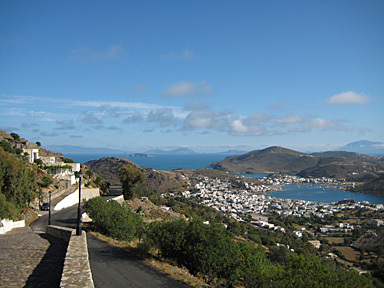 An excellent taverna is a few hundred yards away from the villa, with the nightlife of Patmos' lively port of Skala five minutes away by car or 20 minutes on foot.